Antonio Carpio is a Supreme Court Justice in the Philippines. A man who has played David to China's Goliath in an international dispute in the South China Sea. Antonio Carpio: There was a standoff sometime in April of 2012 between Philippine coast guard vessels and China's coast guard vessels. Claiming historic rights in 2012, China seized the Philippine waters known as Scarborough Shoal, in one of the world's busiest commercial waterways, hundreds of miles from the Chinese coast. When China refused to back down, there didn't seem to be much the small island country could do to reclaim its territory. Until Carpio and other Philippine officials decided to sue. Antonio Carpio: We had no choice, but since we didn't have the military capability to retake Scarborough shore, we had to bring a suit against China. We have to sue China before a tribunal at the UN convention. This past July, the international tribunal ruled that China's territorial land grab was illegal. But that didn't end the dispute. Sharyl Attkisson: The Philippines won its lawsuit against China, correct? Sharyl Attkisson: What was the impact. Did China change its ways? Antonio Carpio: China did not. China said that we are not complying with the ruling. 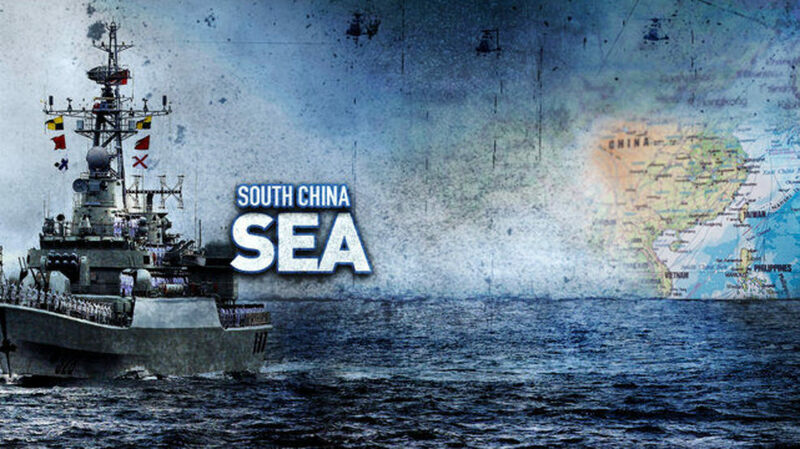 China's claims over almost the entire China Sea is upending order the U.S. has helped keep since World War II. And it's concerning concern to five other nations that have become prosperous, in part, by using these busy shipping lanes where they claim maritime territory. Will China move to control or even block them? At his nomination hearing, Secretary of State Rex Tillerson talked tough. Rex Tillerson: They're taking territory or declaring territories that are not rightfully China's. The island building in the South China Sea in many respects in my view building islands and then putting military assets on those islands is akin to Russia's taking of Crimea. The history of the seas and the laws that rule them were written over centuries and with blood. The permanent US Navy was founded in 1794 to battle Barbary pirates who threatened the freedom of navigation and trade in the Mediterranean. In the 21st century, an age old problem and a potential new battle on the seas. Until a few years ago, these little reefs and sand cays in the Spratly Islands, off the coast of the Philippines and South Vietnam, were largely uninhabited, wanted only as fertile fishing grounds. Now, the Chinese have converted them into military outposts equipped with runways and sophisticated radar towers. Armed Service Member: And currently what we're looking at is some construction on a landing ship. Sharyl: And Chinese navy ships have recently warned and harassed ships at sea, including US Navy ships which they see as meddling in their business. Chinese Military: This is the Chinese Navy. This is the Chinese Coast Guard. Please go away quickly. Sharyl Atttkisson: Looking at the primary trade route, which now is a point of contention, at least as far as China is concerned, and the militarization they're having there. How do you see this as potentially impacting things for everybody? Antonio Carpio: Well over a little over half of the world trade in goods traded by ships, seaborne trade, over half of that passes through the South China Sea. And a lot of that passes through the narrow Strait of Malacca. 80 percent of the energy supplies of China passes through the Strait of Malacca. It's a choke point. So if that is blocked, the entire economies in Asia, Japan, South Korea, Taiwan and China cannot export to Europe. And they cannot import gas and oil from the Middle East, because of all of this passes through the Strait of Malacca. Sharyl Attkisson: Should we be worried about that? Lindsey Grahm: You should be worried. Senator Lindsey Graham serves on the Armed Services committee and is pressing for the U.S. to take a stronger stance in the South China Sea. Lindsey Graham: Cause the last thing you want is a Communist dictatorship to be able to control an entire part of the world. Instead of negotiating who owns an island, they just build a military base on the island. They don't respect the rule of law. Sharyl Attkisson: Can you explain in a sentence, why we ought to care, why a guy that's minding his own business in the Midwest ought to care? Senator Graham: The sea lanes that we all use to ship products in and out of the country, go right by China. That part of the world is the growing part of the world, in terms of economic opportunity. The Pacific sea lanes, the South China Sea are essential to, to do business. The last thing you want to do is give up market share to China, withdraw from Asia, and allow them to militarily dominate the sea lanes. History has shown us the people that control the seas, do very well. Sharyl Attkisson: Why is the challenges that China has made, so important to the global community do you think? Antonio Caprio: Because we have this law of the sea, we're 167 countries have ratified, and China is saying we are not bound by that. And if China can claim the South China Sea as its internal lake, Russia might claim the Arctic Ocean. India might claim the Indian Ocean. So then the entire order of the oceans and seas in our planet will break down. Every country will assert what it can claim through might, through naval power. And then we'll have wars.